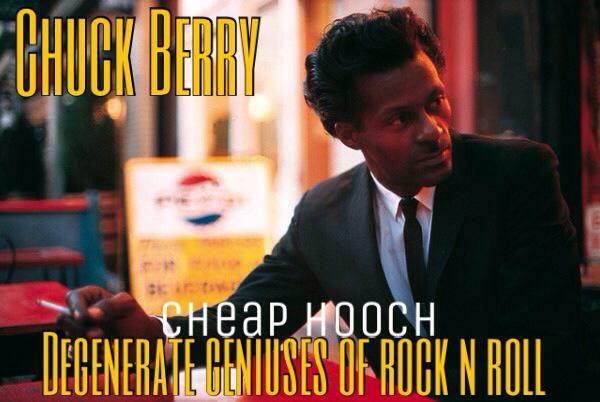 Cheap Hooch Presents: Degenerate Geniuses of RnR-Chuck Berry Day!!! Possibly the dirtiest show we've done. In this show we profiled Chuck Berry and his music/antics. Music covers early influences as well as people influenced by Berry in this two hour extravaganza of depravity. Sidenote: While we were pretty grossed out by his potty preferences we should note that was his own business. We would point out that the "degenerate" part would be his unwilling participants. Again, watch out, lots of dirty stuff in this episode.